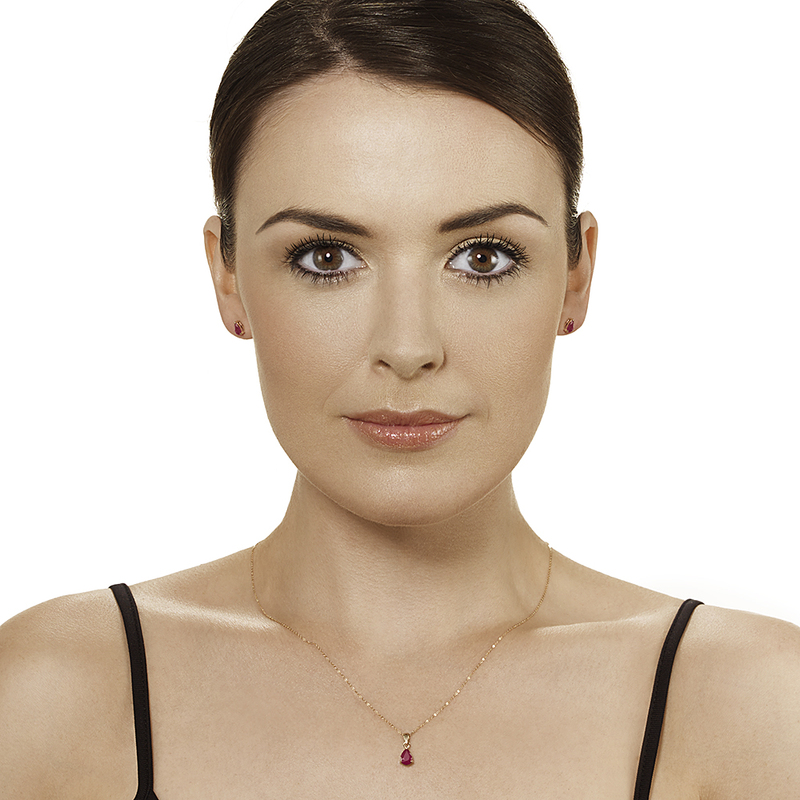 Visually stunning, this necklace is crafted from the finest of 9ct yellow gold - a metal renowned for the rich hue it exudes as well as for its incredible ability to withstand the negative effects of impurities such as; rust tarnish and corrosion. 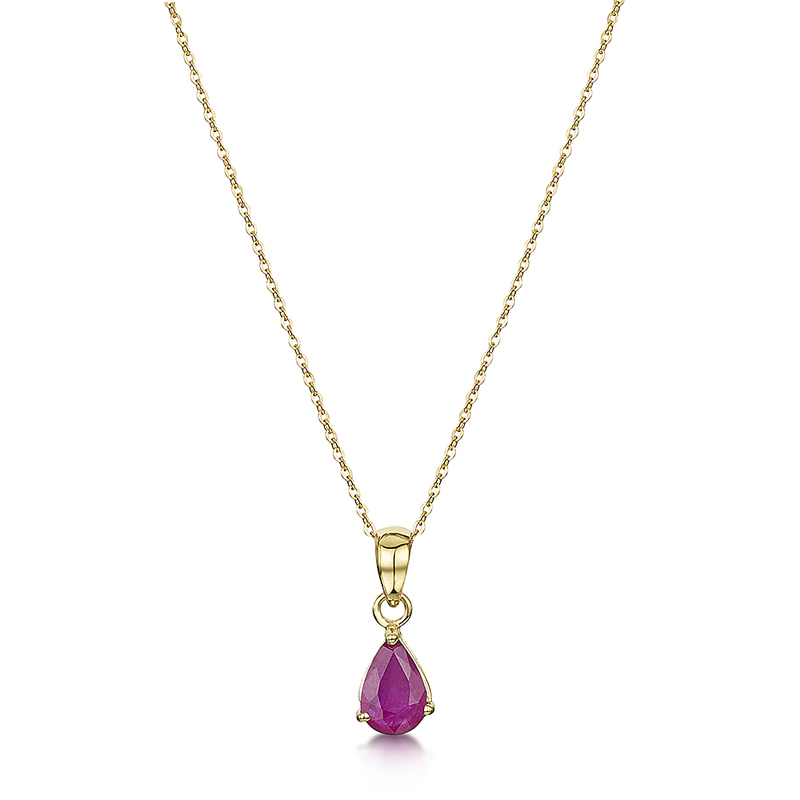 The pendant features a beautiful, pear-shaped; ruby gemstone - clawed into a 9ct yellow gold backing. 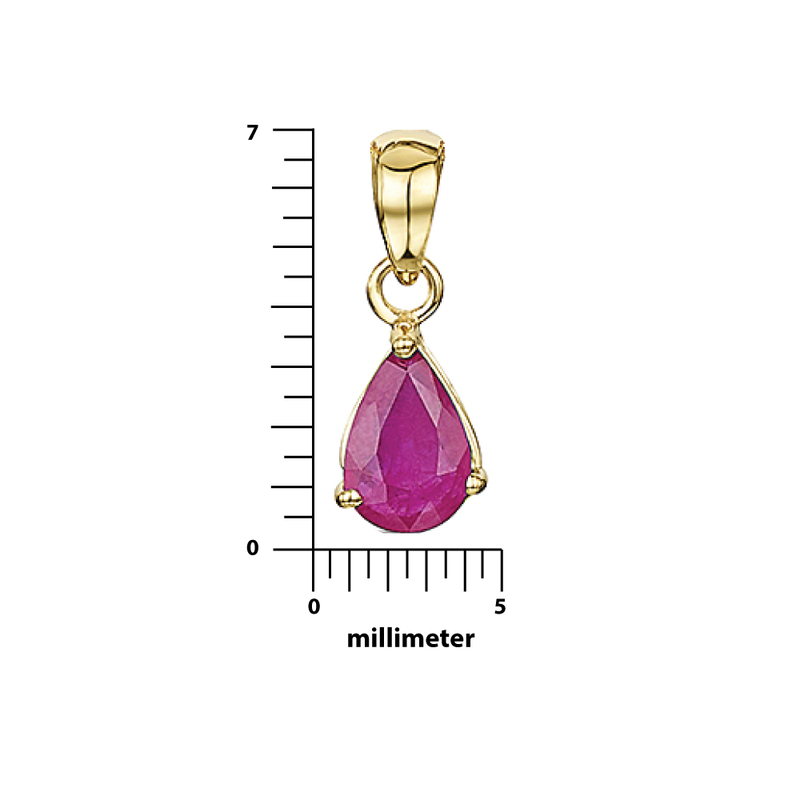 Finally, as per the current Assay legalities, this item is branded with a current Assay hallmark: 375 (= 9 carat).